I’m quite passionate about many things in my life…and food is no exception. And so, with GREAT PASSION, I tell you these things. Please try not to be offended, I’m just going to tell it like it is. 🙂 While most of the things I will say are proven scientifically, I suppose it could be considered “opinion”. But that’s why it’s MY blog. Most people in our country have no idea what they are doing to their bodies with the food they eat. And there is no excuse for it. It’s completely possible to eat nutritious whole foods…even on a very limited budget. It just takes time and a little planning. Social pressure and habits are hard to overcome…but it’s not impossible. I would assume that much of it is just ignorance…people will believe whatever the TV tells them and it tells them to eat gross stuff. Another pitfall is that most people will eat what they have been fed growing up. And in this current generation, parents/grandparents were victims of the microwave dinner era. It was the “if I can make it faster, I will…regardless of my health” era. And unfortunately, that has continued as their “food legacy”. It really boggles my mind when I glance around at my fellow grocery shoppers (when I’m at a conventional grocery store) and realize that 95% of their carts are filled to the brim with Mountain Dew, fake cheese, white bread, kool-aid, sugar cereals and factory farmed meats. It makes me really sad, actually, that they don’t even realize that the reason why they can’t poop and have chronic colds and runny noses…is related to the food they eat. Food is powerful stuff. It can kill you or heal you. It’s up to you to decide if you want to kill yourself with the food you eat. Just because it’s on the shelf at the grocery store does not mean that it’s safe or proven to be good for you. I think there should be a mandatory “label reading class” before anyone is allowed to enter a grocery store. I am a compulsive label reader, so it horrifies me to think that people grocery shop without reading labels. If you are not in the habit of reading what these corporations are putting into your food…you should start today. Go to your pantry and get rid of anything that has “partially hydrogenated oil” and/or “high fructose corn syrup”. Check your crackers (especially graham crackers) and breads and any other convenience foods. Then move onto anything that has pretty colors in it. Red #40. Blue #1. You get the idea. Then start looking for preservatives and get rid of those. They will try to confuse you and it will read “to maintain freshness”…but this is really just a nice way of saying “a gross chemical preservative that will make you sick”. Then go through again and get rid of anything that has “enriched flour” in it. Take anything with aspartame or splenda in it and throw it far, far away. Diet soda addiction? Please stop. Sugar free gum? Needs to go. Next, the pretend healthy “whole grain” stuff. If it has “whole grain” and the next ingredient is high fructose corn syrup, it’s not good. C’mon…whole grain Lucky Charms? That has to be the funniest one I’ve seen. Or how about whole grain corn dogs? What?! Sodium nitrate on a stick with a “healthy” coating. You also have to be careful with “health” foods. Just because it says it’s organic does not mean it’s healthy for you. Those organic cheese puffs are not good :). The organic pop tarts? Oooh they are tasty, but don’t eat them every day! Be careful with dried fruit…most of it is coated with sugar/sugar water. Watch the sodium content of “healthy” boxed foods. That will be a good start to getting your kitchen to where it needs to be so you don’t die. Am I overreacting? I don’t think so. Do just a little bit of research and you will see for yourself how our country is dying because of the food we eat. One of my personal favorites is the article, “How to Give Yourself Cancer in 5 Easy Steps”. The sad thing is…most people don’t care. You can tell them that all of the above ingredients will give them heart disease, colon cancer, liver problems, hormone problems…and they will dismiss it as “well, I’m alive today so I don’t care”. Or, “it’s just habit and it tastes good”. Or, “My kids won’t eat ‘healthy’ foods”. For those people, it will take a radical problem in their life to make a change. Their child will have to get diabetes for them to wake up. They will have to have a heart attack to realize that “oh, maybe I should cut back on the animal fats”. But if that’s what it takes…so be it. For me, I choose to be proactive and take an active role in preventing disease. I want to fill my body with so many anti-oxidants, greens, and goodness that disease would have a really hard time finding me. It IS possible to reverse the effects of unhealthy eating. Think anti-oxidants!! Eating healthy foods is an investment…not a burden. Eating healthy foods is worth every penny you spend! If you really don’t know where to start…start here. ‘Eating healthy’ is a term that is debated over and over. No one can seem to agree on the best way to eat healthy. I feel that eating food that is ALIVE with nutrients…fresh fruits, veggies (especially GREENS! ), sprouted grains… is the best way to maintain health and the studies will agree. But you’ll have to decide for yourself…and that’s the thing. It’s a decision. Whether you know it or not, you are making a decision every single day regarding your health. Regarding your children’s health. Now, before anyone gets all crazy…please know that I am not perfect with my eating in any way shape or form. I am changing daily and making the best choices I can DAILY. Food is a very emotional and personal choice…and it’s probably the most difficult change one can make in their life. I have eaten candy bars. I have eaten LOTS of organic pop tarts. I’ve eaten all kinds of stuff that is bad for me. But in doing so, I have made the CHOICE to do so, and that is what this post is about…making choices. As long as the majority of your food choices are really good, you can have a few treats. I want people to learn and grow and expand their knowledge of what food can do. One of the best pieces of advice I can offer is to first, get all of the “bad stuff” out of the house. Don’t have it near you … and you won’t be tempted. If you happen to want a sweet treat while you’re out, let it be that. A “treat”. Something that you indulge in with friends. Not an every day thing. Fill your house with nutritious (and delicious) foods and snacks…and start to re-train your body and mind to crave those healthy things. Your taste buds WILL change…you can do it! It is a pity people aren’t more informed. When we as a people lived close to the land the main foods that we purchased ( those likely being that which we did not grow ourselves or harvest in the wild ) were for the most part whole foods. That is no longer the case. It is a travesty I think that the corporations, to make a buck, market things like Cranberry Juice Cocktail. I saw a video interview and the Ocean Spray people were laughing (all the way to the bank) that people were paying premium prices for what amounted to sugar water, with a tiny bit of cranberry juice. How do they sleep at night? It is a case of “buyer beware” and more necessary in these times where few think they are their brother’s keeper and that there is no higher power to answer to. Each does what he deems right in his own eyes. The marketplace is full of choices, and fortunately there are some acceptable choices availble to those who take the trouble to educate themselves. For the rest who don’t, I do believe our government has some responsibility, at the very least, morally to do what it can to educate it’s citizens. Isn’t it in the best interest of our country to have a healthy people and isn’t that preferable to a “healthy” bottom line? What good is money if you can’t enjoy it due to ill health or have to spend your wealth on healthcare? Making a case for healthful eating is difficult too when the negative effects are cumulative and long term and not apparent until, often, later in life. When disease comes, then and usually only then, are people willing to make the effort and sacrifice necessary for health. Very good/informative post Sara. You know I always wonder why food manafacturers stick certain things in foods in which it absolutely make no sense to do so. For instance I was in the store the other day and I picked up some cranberry juice (didn’t read the label). When I got home I realized it had red dye in it!!!! Why?? Can’t I just have juice? Really its crazy. This was a good post. My family’s eating habits starting changing a couple of years ago. We started with just cutting out trans fats- that alone made a big difference and I had to learn how to cook. We started working on other things like cutting back on sugar and by just making little changes over time, we have come a long way but it never felt like we were depriving ourselves ad we have stuck with it. I forget how different we eat compared to most people most the time and it shocks me when I see other’s carts full of junk. I enjoy all the wonderful recipes you’ve been posting on this blog and have used many of them. I’ve always eaten at least fairly healthfully – it’s a rare thing that I don’t know what’s in my food because it’s made from scratch, by me. But, there are still some areas I could improve in as well, and more and more things that I feel I should be looking out for. Thanks for the inspiration to keep going with this, and some more ways to approach my kitchen. I have been researching and writing about finding healtier foods since 1976 and share many of your opinions….BUT not all of them. If you want to address the minority of people who are of like mind, then your approach is great. But if you want to communicate with the majority of poorly fed Americans, your approach is a real turn-off. Why? Because it’s close to impossible for the average eater to make drastic changes in their food or to make them quickly. If your friend was a couch potato, but wanted to adopt a healthier life style, would you expect him to run the Boston marathon in a week? Of course not! You would start with baby steps and help him to gradually make the small, but do-able changes that would be needed. Everyone understands this re exercise, but when it comes to food, people are told to stop eating all their favorite things and the alternatives they are offered (which are delicious to some) are a huge turn-off for them. Imagine that — for whatever reason — you were forced to eat THEIR food. Have some Diet Coke, Skittles, KFC and pork rinds! What’s happeining to your stomach right now? Well, that same feeling is what they get when they contemplate the dishes you are suggesting. People hear about all the things that are wrong with what they are eating, but they are not given the practical guidance they need to take the incremental steps to get from horrible food to healthy food. If you take away their Cheetos, you need to show them how they can replace it with something that tastes just as good, or better — to THEM, not to you. That’s when I suggest they switch to Natural Cheetos. Maybe they will eventually prefer flax snacks, but for now this baby step is all they can do and it’s a huge improvement…no yellow 5, yellow 6, preservatives, MSG, fake flavoring. I’ve had this conversation with many folks, and eventually wrote a book titled Healthier Food for Busy People…it’s sort of a Nutrition for Pre-K. Take a look at it on the Feingold Association’s web site http://www.feingold.org. I also have a CD called “What are all those funny things in food, and should I eat them?” Modern processed food is both strange and funny, and I use this to teach people about healthier eating without making them feel guilty or overwhelmed. I don’t tell people what to eat, but I tell them what they are already eating and offer simple substitutes to get them headed in the right direction; after that, they take it from there. Jane…Thanks for your opinion. This post was not meant to hold people’s hands and walk them through a diet change. It’s meant as a wake up call. When it comes to food, people won’t make changes unless they fully understand the implications. I’m not going to say….”ok everyone…it’s time to start “thinking” about feeding skittles to your 3 year old”. There should be no transition. That should just be over. And yes, people can change overnight. I’ve done it…I’ve seen others do it. Your body may “detox” the bad stuff out, but that’s what you want it to do. I do agree that you must have a plan. You can’t cut out diet soda and not replace it with a like alternative. Habits die hard. And I agree that people should make small changes, but often, it turns out to be just a crutch and they go back to their old ways. BUT…like I said, this post was not meant to be that kind of help. It’s my opinion about the state of food today…and it’s what I would love to see in every house across America. I could write an entire blog on how to eat healthier, but there are many out there already, as you pointed out with Feingold. Mercola is another good one…and Fuhrman. Thanks again for taking the time to share your ideas. Hi again Sara! I couldn’t agree more, I actually have a very soft spot in my heart for unhealthy children. I literally feel like taking them on hikes and feeding them dried apircots (no sugar) and apples with fresh ground peanuts liberally spread on top! I only wish everyone would get on the bandwagon too, instead you just have to influence the people that you meet into trying to change things by eating good food in your company! Amen sistah! This post is great. I do have a question about animal fat though . Are you a vegetarian, or is there another specific reason you say no to animal fat? I see no problem for people who are fast oxidizers/protein types to eat some animal fat from organic, grass-fed beef. Thoughts? Hi Christine…thanks 🙂 While I personally choose to abstain from meat, I think it’s ok in moderation (a few times a week). In a perfect world, I would say no meat for anyone, simply because it’s been scientifically proven that vegetarians live longer and have less health problems. If I was to eat “meat”, I would stick to fish. BUT…if you are going to eat meat, organic grass fed would be the best. In moderation 🙂 Thanks for writing! First of all, you need to go on Oprah. Seriously! I have enjoyed reading your blogs so much since I found them a couple of weeks ago. Because of your insight, we are starting to make positive changes for our family and are working on “greener” living as well. My husband and I grew up in northern MN, and were taught to live off the land (garderning, hunting, canning, etc). No wonder our grandparents all lived into their 90’s! When he joined the AF 10 years ago, we put the more organic and green lifestyle on hold. But, thanks to you we are getting our family back on track. Thank you!!!!! Sara, I love you. I’m going to go eat a salad now. I am in a multi-year process of changing our eating habits. I’m thankful for your”drastic” example because it helps me know what I’m shooting for. Major diet changes are indeed a gradual process and we need people all along the way to show us where we are going and what steps to take next. Thanks for being a great resource for me and my family! Hi Sara! Nate’s sister here. Just the other day I was thinking about how it seems more and more people are getting cancer, and how I didn’t know anyone with cancer in my childhood-teen years. I wondered if it was just because I was a kid and had no clue, or if cancer really is on the rise big-time. I don’t think your approach to the average eater was offensive at all. I want to change, and that list of 10 healthy foods sounded fabulous. I want my kids to crave that kind of stuff. I make excuses. It’s like when I sit on the couch watching an exercise program and think, “I really should be doing this.” I need to quit being lazy and act. I’m scared to throw all that stuff out though and I don’t even know why. I’ve got all kinds of junk in this house and I’m scared to let it go. I do believe that changing the way and what you eat is a journey and I think it might be helpful to remember that there are people in this country that can’t make that journey. When I used to eat differently I assumed that people that didn’t were either lazy or cheap until I started doing work in urban Kansas City where I live. I realized that so many people that live below the poverty line or are just struggling desperately want to eat healthy but can’t because they simply can’t afford it. They don’t have access to the same information about health as so many of us are blessed to have access to. They don’t have access to fresh, local produce, and forget organic! I am desperate to see some of our presidential candidates stand up and talk about how the food system in this country MUST be changed and not just for us privileged folks, for those that don’t have a voice. So much of how healthy we are comes from what we eat and the food in this country does not reflect that. So I urge people reading this very insightful and true post to remember that while you spend time changing the way you eat, why not try to get out and help those that can’t help themselves. There are organizations popping up all over with programs like produce for the people in California, trying to get good, healthy food to people who need it. Thanks for all the comments everyone. Ann…great to hear from you! I would definitely agree that cancer is at epidemic proportions. I think it’s a combination of food and environmental changes…it’s hard to pinpoint exactly. There are SO MANY things that get labeled as “cancer causing” that people seem to just tune out and consider cancer as a way of life. Just another bad thing that happens. While that may be in some cases, many cases are directly related to diet and/or the air they are breathing, chemicals they’ve been exposed to, etc. About the pizza…yep, pretty nasty stuff. Instead of buying frozen, how about using a bread machine to make some homemade whole wheat pizza dough (or just buy whole wheat frozen dough)…and making your own pizzas? Yes, a little more work, but totally worth it. My favorite toppings: sun-dried tomatoes, artichokes, and feta. Yum! If you need to go with frozen, Amy’s brand makes some amazing pizzas. The crust is still enriched, but they are much better for you overall. For kids…my best advice is to introduce things to replace their favorites. AND, name things funny names. Today I told Bella I was going to make her banana cake. I mashed up a banana in a circle on a plate and put fresh blueberries on top. She loved it! One day I told her I was making a “Super Power Ballerina Breakfast” (raw quinoa oatmeal) and she was soooo excited 🙂 Most of the time though, I do tell her exactly what we’re eating and why it’s healthy…how your body responds, etc. It’s never to early to teach kids about good food. Regarding the junk food…give it to a food pantry or some other type of shelter. Then start fresh. It’s never too late to start. Every day is a new day! Stock yourself up with good stuff that makes you WANT to eat it. For me, if I have bananas, I’m happy. 🙂 Add walnuts, happier 🙂 Your taste buds will change. Isn’t giving it to a food pantry just continuing the bad cycle of eating for those in need?? If you give junk to a food pantry that people depend on in times of need thats all those families will get. I am all for getting it out of our homes, but not filling up a food pantry with junk. I would encourage folks, who can afford to, give healthy nutritous food to those pantries. I agree with food being a journey. Or I should say eating well. I have baby-stepped our family over the last 3 or so years and it makes for healthier relationships. Sometimes wives must be careful to not show a lack of love or respect to their husbands when they (out of love) turn the family’s food choices 180 degrees. It can cause strife (he has a personal/emotional connection to food as well) and he may not be on the same page. I say to gently inform family and friends over time…esp husbands and do make incremental changes. The relationships are ultimately more important than the food choices. The husband will be much more on board if shown respect during the process than if mama just dumps all the Oreos fast. We should make these decisions not out of fear or believing we can ultimately control health, but out of love and honor and glory to God for how He made us. (I say this b/c it is easy for me as a woman to read food literature, get really scared, and start being a foody tyrant! 🙂 Relax, love, and eat better bit by bit. Glad you’re getting a lot of good foody fixes. Is there room for a juicer on that RV? YAY! I threw out an entire pack of corn dogs. It felt wasteful, but it had that sodium nitrate in it. I still have 3 frozen pizzas and a pack of burritos in there, though. I also have been reading labels on all our stuff, and EVERYTHING has high fructose corn syrup! Even the 100% whole wheat bread that I thought was so great has it!! Hydrogenated vegetable oil is bad, too, isn’t it? That’s in everything. My first step is to quit buying convenience foods. No more pre-packaged and frozen snacks/treats/dinners. I’m going to try to buy real food. This means I need to think ahead, plan out meals, make grocery lists. And, I need to keep coming to this website regularly for reminders/encouragement/recipes. I just read Jen’s comment about GMO’s and had to look up what that was. That’s too much for me to tackle right now, I’ll just take it one step at a time, but it’s interesting stuff. Hi, Sara, just one more question (sorry!) Do you know, does that fruit/veggie wash really work? I bought an all-natural veggie wash that claims to be made with organic citrus. Does it REALLY take off all the surface contaminates on apples/pears/grapes, etc.? It smells nice, but does it really work? Ann…congrats girl! You ARE making changes…I’m so excited for you. Weeeeee! I’d love to answer any of your questions offline too, so feel free to shoot me an email (janssenfamily (at) gmail (dot) com. About the fruit/veggie washes…I honestly think they are a waste of money. When something is grown non-organically, the pesticides and chemicals are going to be in the soil as well…soaked up into the fruit/veggie. It IS possible to wash off some of the residue from the outside, but not all. If I can’t buy organic or it’s not available…I just use soap and water. You can also check out the “Dirty Dozen” and see which fruits and vegetables have the highest % of pesticide use, etc. Here is a good link for it. Regarding GMO’s…if you’re buying organic, you don’t have to worry because it’s not allowed under the regulation…but the BIG ones are anything with corn or soy. They are almost always genetically modified (this would include high fructose corn syrup). A book that you might like to read is called “Food Revolution” by John Robbins. It has lots of great info. Again…I’m so pumped that you’re making these changes. Way to go! Check out my post on Kids and Food that I did today…I think you’ll enjoy it. Melissa…regarding food banks, I think it’s very important to give food banks healthy food as well….but I don’t think ALL of the food that you might get rid of should go to waste. The food you donate might be the only thing that keeps someone ALIVE that day. It’s just a little different perspective than eating the same stuff day in and day out by choice. It’s a hard decision though…one I don’t have a cut and dry answer for. I have also heard somewhere that using epsom salts in a sinkful of water is a great wash for fruits and veggies that are not organic?? It might be worth a google search. For bigger families we have to really pick and choose what to buy organic b/c we just can’t stretch the food budget any further to buy all organic and my kids fly through fruits and veggies. I just read “What to Eat” by Marion Nestle. (No relation to Nestle company!!) Easy to read and an eye opener on the food industry. Concise as well. Wow. I wasn’t even aware that they made organic pop tarts. You are completely right about the dyes. Red #40 is made from the crushed shells of a certain kind of beetle. I honestly wish everybody was as informed and interested about their food choices, especially being a student of dietetics. 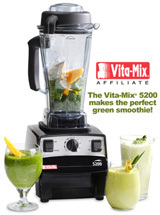 I would like to see some of your personal green smoothies, just btw. You’re awesome, please keep writing!